Metal detectors are used for treasure hunting. The question is, what should you do if it leads you to an actual treasure buried underneath? You can’t just use your hands especially if it is several inches deep. This is where the need for a shovel comes in. You can easily use it to dig deeper until you can find what you are searching for. The only problem is that shovels are really huge. You can’t bring one with you as you move to various locations. This is why you need to get the best folding shovel instead. It makes the job a lot easier. When you are done using it, you can just push the handle back and it will be more compact. This makes it easier to bring everywhere you go. Let us take a closer look at some of the best shovels you can choose from. This is one of the shovels of greater quality. It is used for military survival training and other tough activities. If they work well for these activities, then they can also be a perfect partner for metal detecting. Aside from being used as an ordinary shovel, it is strong enough to be used for hammering or cutting. The sides are also sharp enough, so they can be used for chopping, sawing, prying and even opening a bottle. 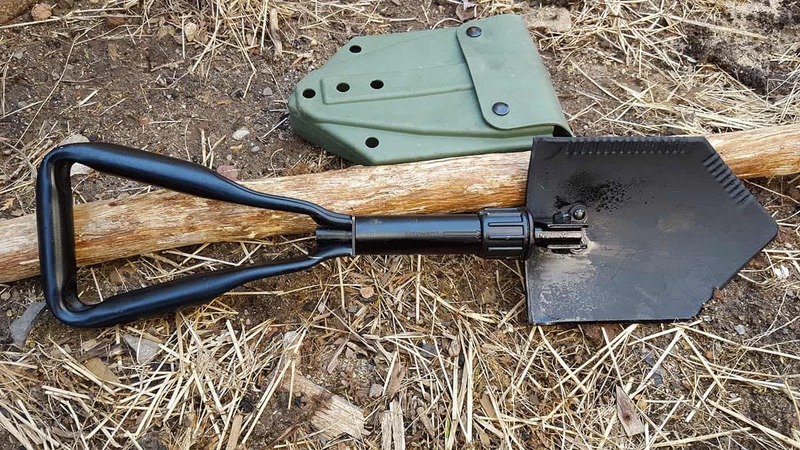 This multipurpose shovel is like a Swiss knife. Though it is more expensive than other options, it is definitely worth the price. It also comes with a pouch that you can easily attach on a belt or a backpack. Its handles can be folded twice. It means that it is really small when placed on the pouch, so it is perfect as a travel companion. Just like the first option, this model is also multifunctional. It is way cheaper though at just $18. It also comes with shovel blades that can be used to even open bottles. It is highly recommended as a survival tool or for gardening, but not for heavy-duty digging. It is made from high quality materials though, so you can expect it to last for a very long time. This model is perfect for beginners. 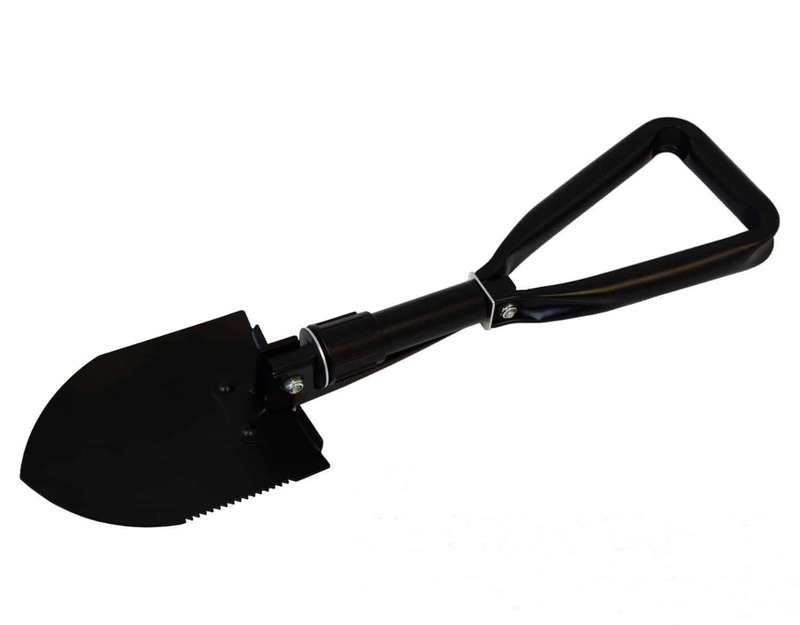 If it is your first time to go on metal detecting, then you need a basic shovel that can be used for digging. It may not have other functions aside from plain digging, but it is good enough for a starter package. Besides, it is sold at just $9. The best part is that the shovel can be unlocked so it can turn into a 180-degree angle or 90 degrees depending on the situation. It can also easily fit in a carrying bag since it is just 6-8 inches long when collapsed. It also has a belt loop to make it more portable. This is the perfect partner for basic activities like camping, hiking or gardening. It can also be used for metal detecting especially for kids. 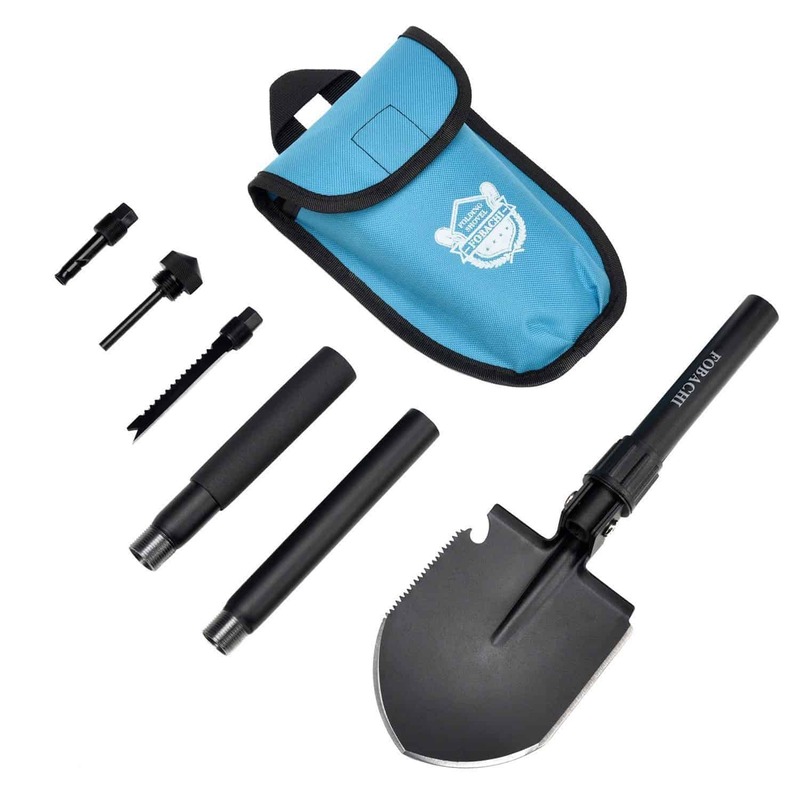 These folding shovels are important when you have finally decided to go for metal detecting. Without them, you will have a hard time locating the treasure where your metal detector has pointed you. This is a common mistake among beginners. They only think about how they can find treasure with the help of the metal detector. They forget about what should be done if they have been pointed into a certain location. The treasure might have been buried several inches deep. With the best folding shovel, you can locate one in no time. You also won’t feel bad buying one since it is very affordable. It can also easily fit in your bag.